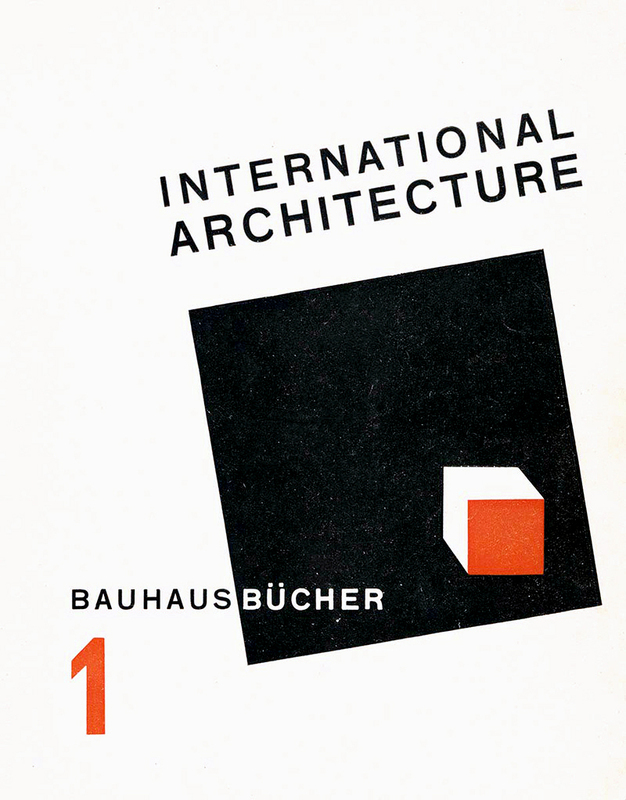 Between 1925 and 1930, the Bauhaus put out 14 of a planned 54 titles in the Bauhausbücher series edited by Bauhaus founder Walter Gropius and photographer László Moholy-Nagy. Derailed by the turmoil in Europe leading up to WWII, the books that were printed were snapped up quickly and are now difficult to find. Swiss publisher Lars Müller is gradually making the fourteen titles available again "in a form true to the originals," but in English. 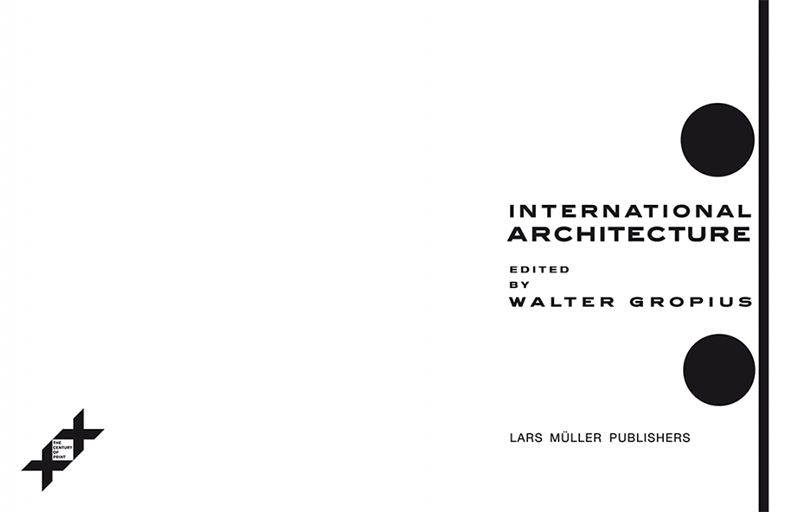 First in the original series was Gropius's International Architecture, whose reprint comes out next week, a couple weeks before the 100th anniversary of the Bauhaus Weimar. Centennial celebrations are rampant in Germany, and reprints like International Architecture and Bauhaus Journal 1926-1931 extend the reach of those celebrations all over the world – a world transformed by the principles developed at the short-lived school (1919-1933). 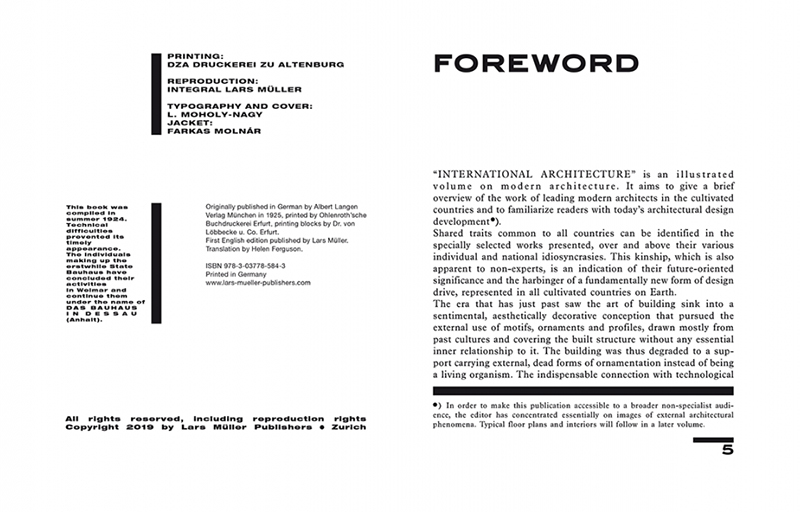 International Architecture is a short book, with a four-page introduction by Gropius and 100 pages of photographs and drawings of "ever more daring design[s]" by the likes of Peter Behrens, Erich Mendelsohn, Bruno Taut, Frank Lloyd Wright, and of course Gropius himself. 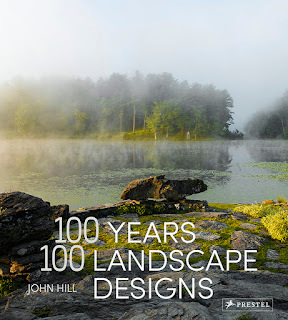 Given that it's nearly a century since original publication, most of the projects are well known. So, not surprisingly, the handsome hardcover reprint is most valuable as a historical artifact. Nevertheless it's a treat to flip through. 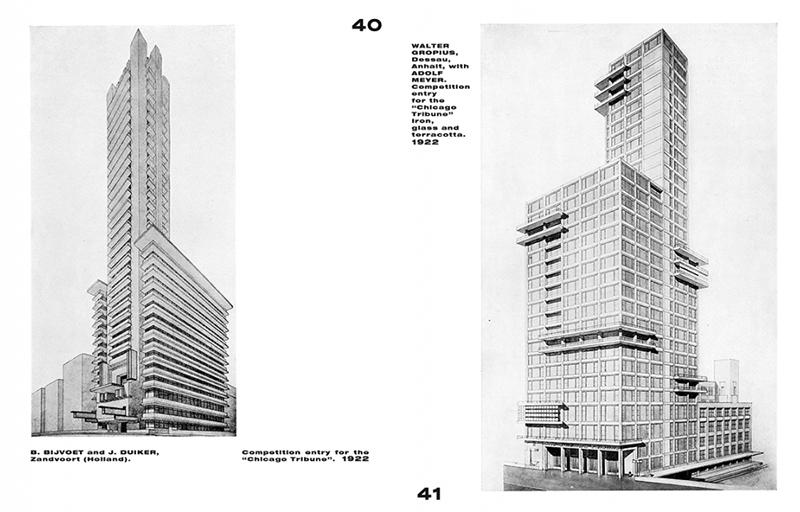 With two images per spread – sometimes showing the same project but often two different projects – it's easy to make comparisons; and it's clear that Gropius considered the juxtaposition of images, be it in terms of visual composition, typology, materials, or other traits. 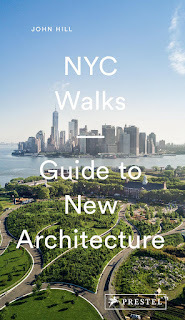 (This tactic is still in use today, with such books as Modern Spaces.) Five of the 100 illustrations present designs for the Chicago Tribune in 1922, highlighting Gropius's famous scheme and three other modern designs that were passed over for the neo-Gothic winner. What may have seemed like the failure of modern design versus traditional design turned out to be a slight hiccup in Modernism's ascension courtesy of the Bauhaus. Walter Gropius (1883-1969) was a German architect and founder of the Bauhaus School, who ... is widely regarded as one of the pioneering masters of modernist architecture. 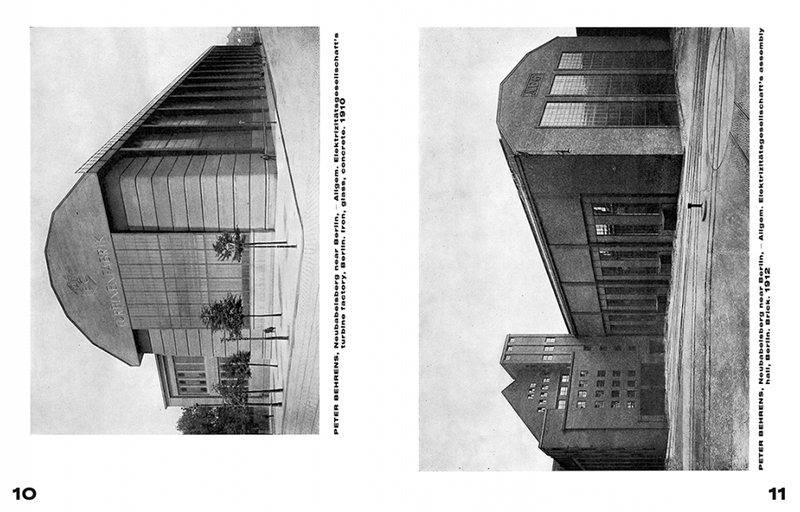 Gropius was also a leading architect of the International Style.